UEFA has issued an explanation for the late penalty award for handball which helped seal Manchester United's passage to the Champions League quarter-finals. 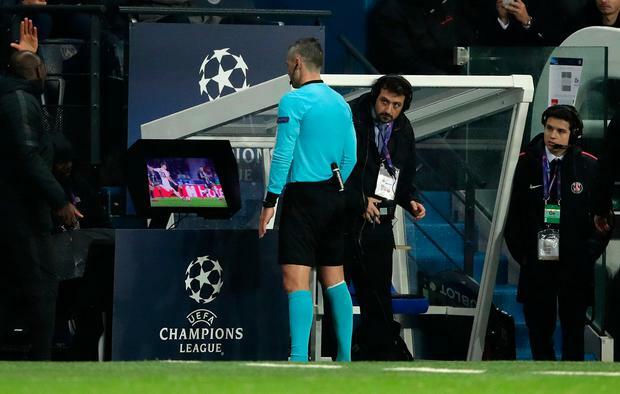 Referee Damir Skomina was alerted by the video assistant referee under the 'serious missed incident' VAR protocol, and after viewing replays he awarded the spot-kick against Paris St Germain defender Presnel Kimpembe because "his arm was not close to his body" when Diogo Dalot's shot struck it. "Following the on-field review, the referee confirmed that the distance that the ball travelled was not short and the impact could therefore not be unexpected," guidance issued by UEFA on Friday morning read. Marcus Rashford scored the penalty to take United through on away goals.